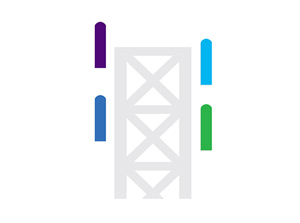 Fiber to the Antenna (FTTA) | VIAVI Solutions Inc.
Fiber-to-the-antenna (FTTA) is a wireless site architecture where optical fiber is run all the way up the tower to replace much of what was traditionally completed with heavier coax cabling. Important components such as remote radio units (RRUs) are also positioned at the top of the tower instead of at the base location. In a FTTA configuration, a baseband unit (BBU) situated near the bottom of the tower is connected via a fiber optic feeder and runs to a remote radio head (RRH) positioned near the antennas at the top of the tower. The RRH converts the digital signals to analog, and the short span between RRH and antenna is still completed using traditional coax cabling. The rapidly growing use of smartphones and tablets is requiring more and more cellular bandwidth, and the increasing demands on cellular infrastructures is often underappreciated. The term “cellular” is derived from the innovative way that networks of antenna towers provide seamless coverage, using a system of frequency zones or “cells”. Each cell is serviced by a central antenna and defined by the associated transmission range. Increasing available bandwidth requires more cells and therefore, more antennas. These antennas naturally require cable runs up their towers to connect them to high frequency and power, so the use of more efficient optical fiber to complete these connections has been an amendable paradigm shift in broadband antenna architecture. The shift to FTTA obviously brings numerous benefits to consumers, operators, and technicians alike. However, as with most advancement in technology, there are some complications and challenges to work out. Perhaps the most obvious advantage of fiber-to-the-antenna stems from the physical nature of the cable itself. The smaller diameter and lighter weight allows many fiber optic cables to occupy the same amount of space as a single coax cable. Because cellular towers are naturally subject to the elements, the physical size and properties of optical cabling are much less susceptible to damage from gusts of wind. Other advantages of fiber-to-the-antenna technology relate to the shift from analog to digital. Due to signal losses, coax cable limited the distance between the antenna and base station to around 100 meters. Optical cabling can span up to 20 kilometers with minimal losses. This allows for central housing of base stations and other similar efficiencies in architecture. FTTA also provides improved energy consumption and signal integrity. Tower amplifiers are no longer required to combat the inherent noise floor of extended coax runs. The cooling of power amplifiers through air conditioning in a traditional base unit is replaced by ambient air cooling of the RRH, which significantly reduces the electrical power consumption of the system. Fiber-to-the antenna obviously offers many key advantages. However, there are a couple of potential drawbacks to FTTA that relate to the change of media and the challenges inherent to optical fiber. Fiber is more fragile and therefore requires careful handling. Dirt and dust are the enemies of fiber, and cable runs exposed to the elements are especially vulnerable. Custom optical fibers are typically not interchangeable, and fiber that is damaged typically has to be replaced instead of just repaired. Termination in the field can be more difficult, leading to more costly factory-terminated cable runs. These pre-fabricated runs sometimes include hybrid (fiber and power) cables because the power must be provided to the RRH separately. Should a pre-fab cable run require adjustment during installation, this could lead to schedule delays. In FTTA architecture all RF functions reside on the RRH, and RF information is sent in the digital domain over fiber using the Common Public Radio Interface, or CPRI. Any RF maintenance or troubleshooting such as interference analysis requires reaching the top of the tower to get access to the RRH. This represents a higher operational expense and security concern. Vertical fiber optic runs present a unique set of challenges. Technicians who have mastered their craft using ground-based fiber optics, as well as those who have cut their teeth on coax antenna tower cabling, should understand the industry recommended best practices for FTTA testing and maintenance. Although fiber optic cable is much lighter than coax cable, the tensile strength of the fiber can still be surpassed if the vertical run is beyond the recommended length. Even when observing these limits, the cable should still be secured to the tower every three to five feet to protect it from environmental factors that can further increase the tensile and flexural stresses. The tower clamps selected should isolate the cables from vibration, while simultaneously gripping them gently to avoid any mechanical stresses induced by the clamps. When using hybrid cabling, traditional coax cable hangers are acceptable because the hybrid cable will ordinarily be sleeved and jacketed for additional protection. A conservative rule of thumb for fiber bend radius is a minimum of five times the cable diameter. Exceeding this limit, even at or near the termination points, can damage the cable’s optical core and render it useless. This best practice can become important when dealing with cable slack because it will need to be wound onto a bracket or enclosure to safely contain it. The delicate nature of fiber optics can sometimes be a less-than-ideal companion for the rugged and dangerous conditions near the tower top. This means efficient and innovative FTTA testing tools should be used whenever possible. For example, the ferrule of the fiber optic cable requires cleaning prior to RRH connection. Using a cleaning device designed specifically for this application can save the technician time and unnecessary movement. Technicians should not touch these terminations with bare hands because the oils from skin can easily contaminate these sensitive components. The continually increasing demand for bandwidth makes optimized continuous operation of FTTA installations more important than ever. Testing is essential during construction, activation, and maintenance. Appropriate testing during each of these phases can minimize troubleshooting and down time in the future. FTTA installation can be a dangerous and complicated endeavor. In addition to the danger associated with tower climbing and high elevation work, the RF energy from the antennas themselves can become hazardous during extended exposure. Troubleshooting, repairs, and corrections mean additional trips up the tower. Thorough FTTA testing during and after construction can significantly reduce this unwanted exposure to hazards. Certification and training for specialized FTTA testing processes and tools can be extremely beneficial technicians. To successfully test an FTTA installation, all individual elements should be tested separately, then again as a system or subsystem, to ensure all of the important pieces of the system are performing optimally. Careful planning of the test process is especially important because the installation might be completed in discrete phases. A fundamental requirement for optical cable performance is cleanliness, and verification of cleanliness is best accomplished through inspection. Connector ferrules should be inspected for scratches under a fiber-optic microscope. Similarly, the fiber core zone and cladding should be inspected under magnification to ensure they are clean and not damaged. If dirt or contamination is found, the connecting surfaces can be cleaned then re-inspected until they are acceptable for use. Once the cleanliness of each connection has been assured, the continuity and insertion loss of each cable run should be tested prior to beginning the installation. A visual fault locator (VFL) is a great tool for verifying fiber continuity and integrity. Just like the cables, the RRH and BBU should be tested individually prior to system testing. Checking the power levels of the active equipment is a wise practice prior to installing this equipment in the tower. An Optical Time Domain Reflectometer (OTDR) is an instrument used to create a virtual “picture” of a fiber optic cable run. An OTDR can provide valuable information regarding the integrity of the fibers, as well as any connections and splices along the length of the cable run. The OTDR is a single-ended tool that can be utilized to verify cable integrity as well as troubleshooting FTTA cable runs, thereby minimizing additional tower climbs. Once intended for use primarily for long haul applications, an OTDR can now be used to diagnose the much shorter runs associated with FTTA. During construction, an OTDR can also be used to measure the loss and reflectance from the RRH and BBU individually, using 10-20 meter launch cables. An OTDR can then become an invaluable tool for maintenance activities, ensuring that overall loss and reflectance per connector has remained stable and within acceptable limits. In an FTTA cell site both coax and fiber cables are used, though the role of coax is now reduced to short length jumpers between the RRH and the antenna, still a comprehensive cell-site verification would require return loss or voltage standing wave ratios (VSWR), distance to fault and RF transmitted power test; and, for fiber-based feeders, optical and fiber metrics including optical transmitted power and fiber inspection tests are important. In addition to that conformance tests related to signal integrity including RF characteristics, interference analysis, and modulation quality are also required to ensure quality of service. Since all the RF information is now transmitted over the fiber between the RRH and BBU, test solutions that support RF over CPRI (RFoCPRI) technology can de-map RF components from CPRI. RFoCPRI technology verifies CPRI control signals and extracts user plane traffic or RF (IQ) data transmitted between the BBU and RRH, permitting the monitoring and analysis of interference signals on mobile devices (uplink) as well as the performance of a radio's signal (downlink). Significantly reduces maintenance time and operational expenses. Consumer demand and technological advancement will continue to challenge the broadband infrastructure and necessitate more innovation. As incremental improvements such as active antennas integrated with the RRH to eliminate the need for all coax, small cell technology, and tower construction continues to evolve, it is safe to assume the future of fiber-to-the-antenna may hold a few more surprises. The advent of 5G wireless, with connection speeds up to 100 times faster than 4G, will require more small cell sites/DAS as well as improvements in conventional antenna tower bandwidth. Fiber optics will continue to provide the life-blood to this ever-evolving network because only fiber can support the backhaul of these small cell sites produced by this intense proliferation of traffic. Fiber-to-the antenna (FTTA) has been an invaluable advancement in broadband architecture, allowing the coverage to keep pace with the insatiable demand. By continuing to follow best installation and fiber testing practices consistently, we can continue to meet the growing requirements of our “cellular” society. HOW DOES RFOCPRI CAPABILITY SIMPLIFY CELL-SITE MAINTENANCE FOR MODERN WIRELESS NETWORKS?